Get Your Resume in a Great Resume Format 2017! In a world as fast pacing as ours, we tend to value productivity the most. We rash and try to keep up with the required speed. We jump from one thing to another not paying as much attention as we should. According to Microsoft in 2010 average person had an attention span of 12 seconds, but in 2013 the number dropped down to 8 seconds. That’s one second shorter than an attention span of a goldfish. A goldfish, people! Not a really flattering fact, is it? Well, now think about the person who’s going to look through resumes to pick the best candidates for the position. He or she will look at it for 8 seconds or even less. That is why you have to do your best with your resume to be noticed in such a short period of time. While there is nothing you can do about the last aspect, the other two can play quite a big role in your resume. Include social media. In this time and age, everything seems to revolve around social media. It is a great way to have a little peek at candidate’s personality and his/hers interests. In fact, the statistic says that only 4% of recruiters don’t use social media. And LinkedIn is still recruiter’s number one go to. Twenty years ago, the résumé was a piece of paper,” Bischke said. “Now, it’s a collection of all [candidate] data that can be found online, like participation in online communities, conferences, and meet-ups. Recruiters can assess whether a person will fit, and learn if he or she has the right skills for a job. Include your knowledge of technologies. Since we all shifted to computers and other gadgets, it only makes sense to state which technology skills you’ve mastered and at what level. Use visuals. An infographic resume is becoming the biggest trend quite fast. No wonder, as it is easier to comprehend visual information than textual, hence the recruiter can process more information during those 8 seconds. Honesty is the best policy. Just as your parents told you, lying is bad and the truth will come out sooner or later. 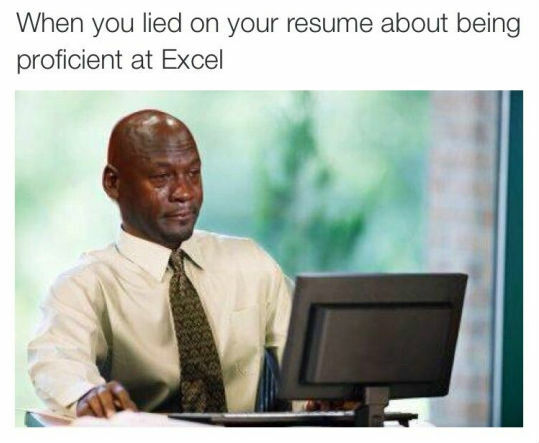 And employers are not easy to trick, they have ways of verifying your information, so be honest. Don’t use templates. All the pre-made, just-past-your-text-here templates are in the past. We live in an era of individuality, so craft something creative and personalized. So when you sit down to write your CV, ensure that you’ve thrown some noticeable buzzwords for resume in it. Like, instead of writing that you “managed the team”, use the words “guided”, “united”, etc. It may seem that you have a lot of time on your hands, but you really don’t. The time will pass faster than you think. Hence, start your job hunt as soon as possible and make the first steps to the successful career. No matter what kind of resume you’re planning to create – graphic, video or something simpler – you’re gonna need to put a lot of effort in that. If you feel like this is too much pressure and you can’t cope with it on your own, our service is always here to cover your back!